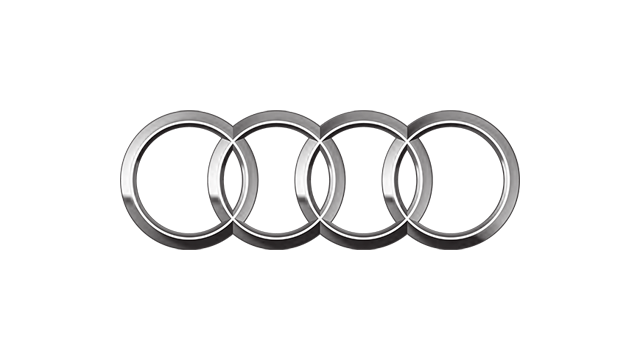 When Audi comes up with a car, you can expect a sportier 'S' version of it to follow soon after. 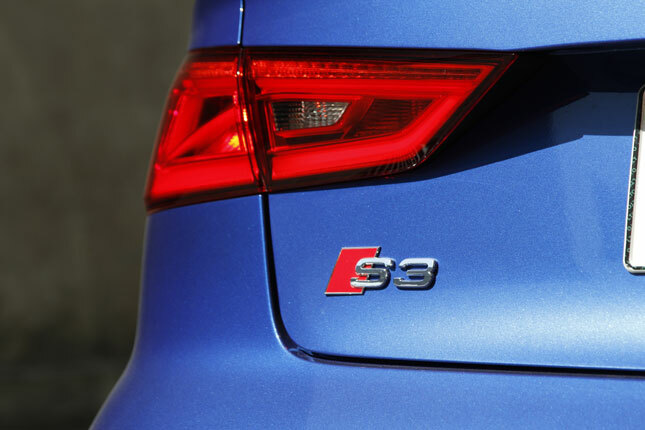 While the S3's look remains consistent over three generations, the advancement of its components makes the current model better than the previous iterations. 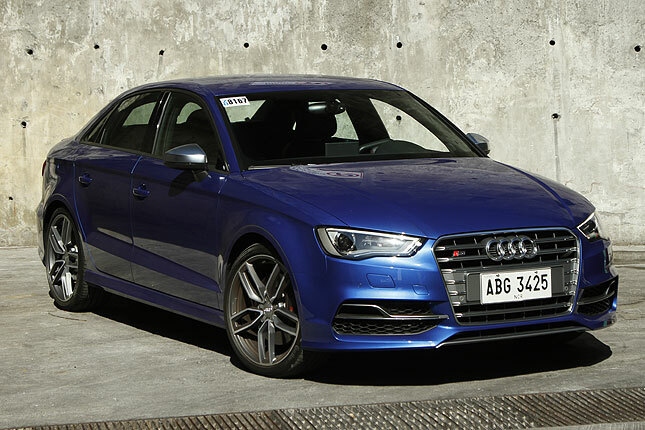 The S3 may look subtle, inoffensive even, but the enhancements give it the right amount of aggression. The front air intakes are larger with sculpted aluminum splitters; the side skirts provide a more assertive stance; and the lip spoiler nicely tapers the rear end. 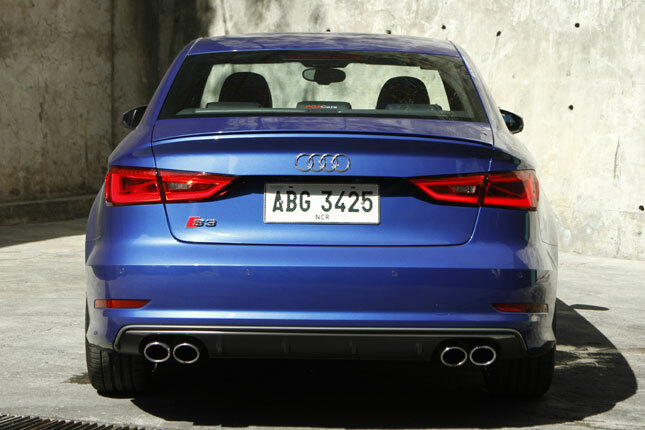 Apart from the S3 badge, the quad-tip exhaust is a visual reminder that this is a more powerful version of the German car. 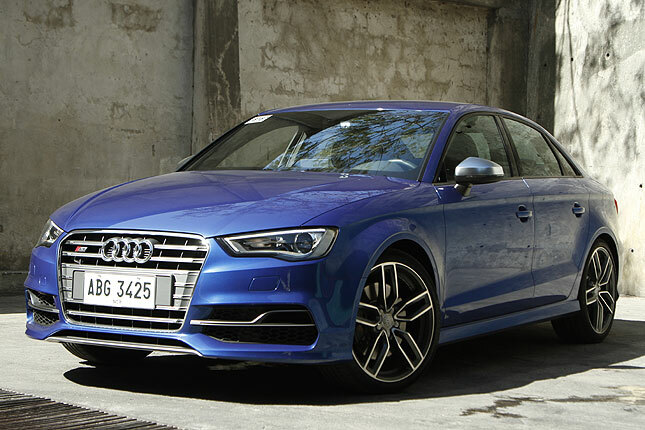 The S3's suspension sits lower by 25mm than the regular A3, perfect for the 19-inch wheels on 235/35 tires. 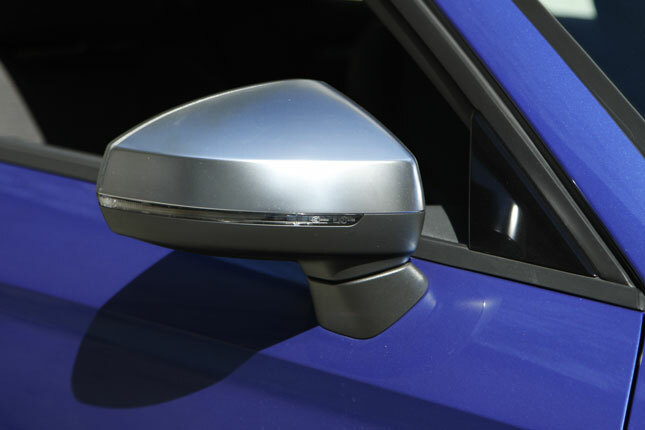 Aluminum side-mirror housings, meanwhile, are a nice touch, with all the aluminum accents hinting at the car's athleticism. The inside is equally minimalist in design and functionality, with only the necessary buttons and knobs. Even the multimedia display can be hidden! Brushed metal-finished surfaces and aluminum trim likewise suggest a sporty character. The dashboard is low with a downward direction for good driving visibility. 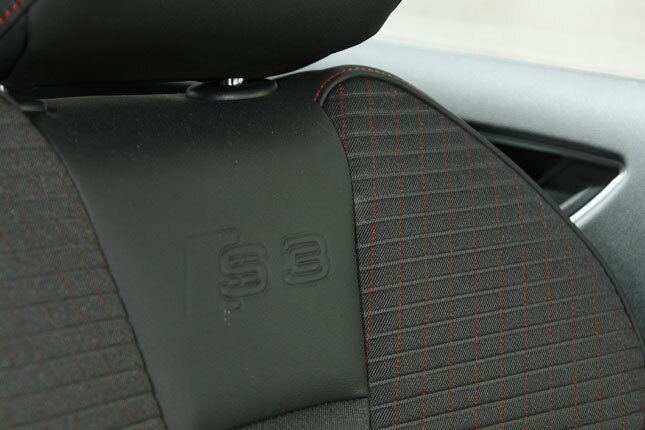 The bits that get your senses going are the flat-bottom steering wheel with paddle shifters, aluminum pedals, and S3-stamped sport seats that keep you in place and are comfortable. 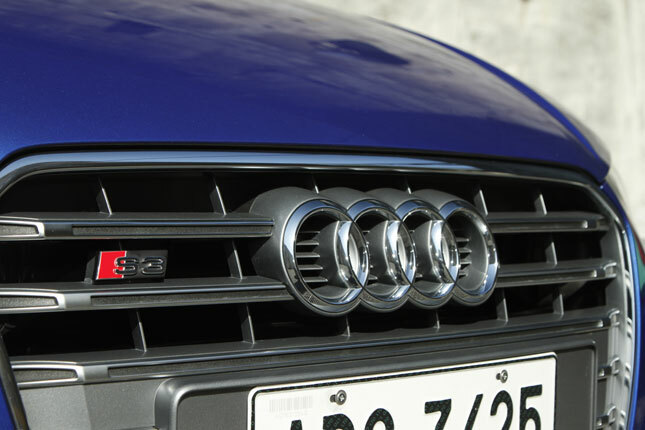 The aluminum door sills also get S3 badging. 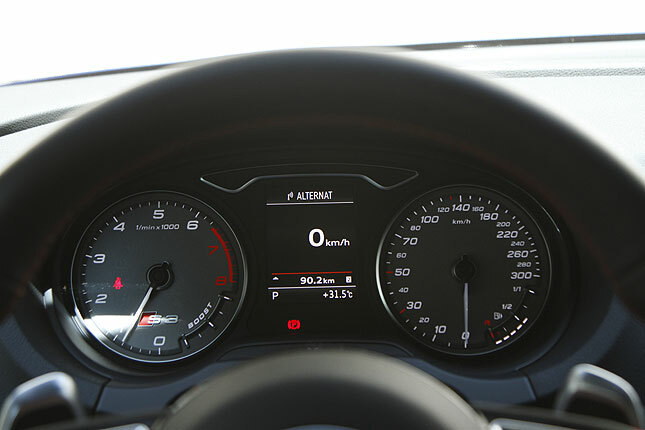 Particularly stimulating is a discreet boost gauge within the rev counter. Rear legroom is quite decent: I still have knee room to spare with the front seat adjusted to my driving position (I stand 6ft). A net on the trunk floor keeps things in place--a good idea with a car this fast. 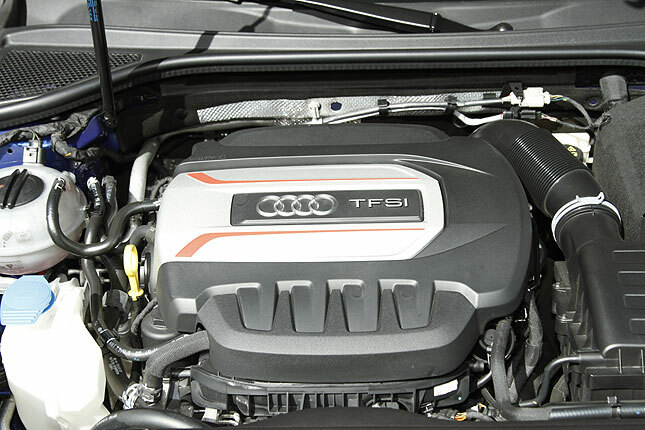 The 2.0-liter turbocharged four-cylinder motor has an output of 290hp and 380Nm (it's lighter and stronger), with torque kicking in at about 1,850rpm. Boost is most felt after 3,000rpm, making easy work of hitting the 6,200rpm redline. 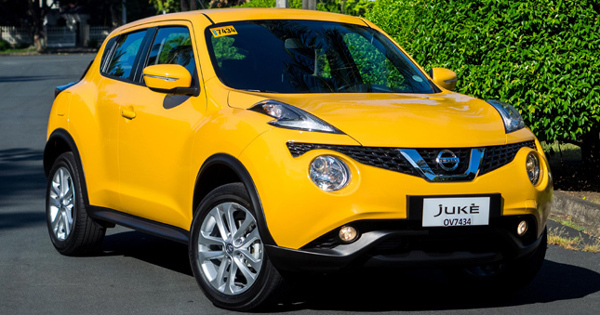 Shifts from the six-speed dual-clutch gearbox are lightning-quick. It's smooth and is barely felt in Comfort mode. 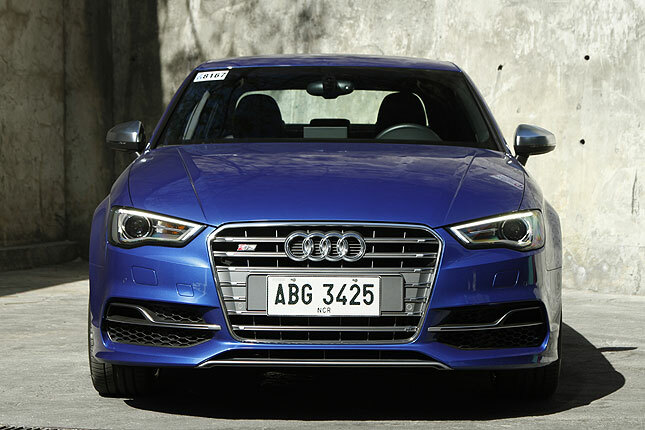 The S3 is on song in Dynamic mode (with the transmission in Sport). It becomes more aggressive and sounds brutal as you work through the gears, with a loud and addicting "brap," whether shifting on its own or through the paddles. 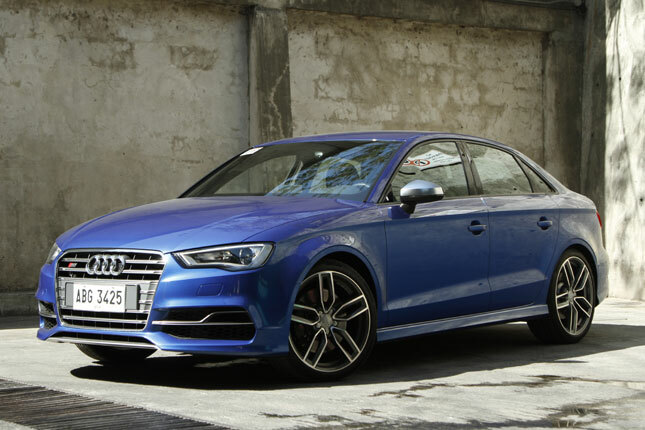 With the S3, you'd naturally go all out. It is fast, but also very efficient. Combined consumption still yielded a little over 8km/L. You can get almost double of that with a lighter foot, but we'd rather make the most of our time with it rather than gunning for efficiency. The all-wheel-drive layout means there's a lot of grip. The S3 stays settled even when induced around a corner. 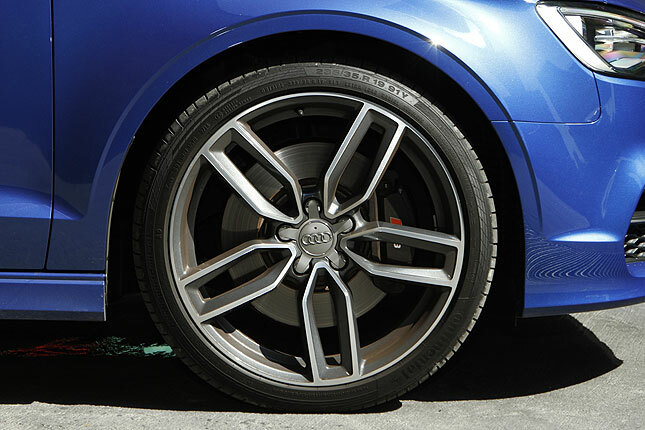 There's hardly any body roll, and with the amount of grip it has, it's easy to feel confident with the car. 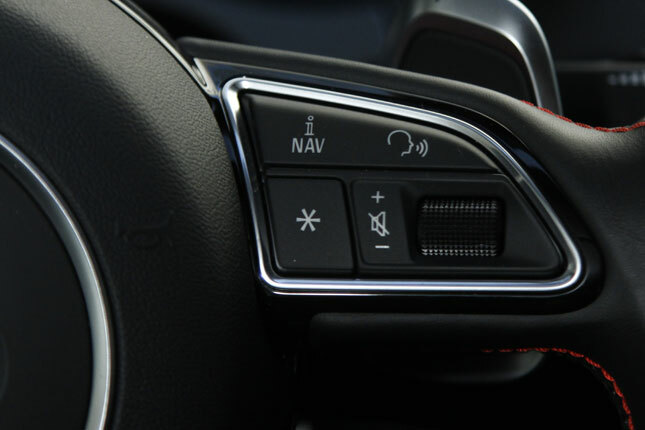 Steering is tight and responsive, making the car eager to go wherever you point it. There is some slight understeer (the carmaker naturally leans toward this), but it's manageable. 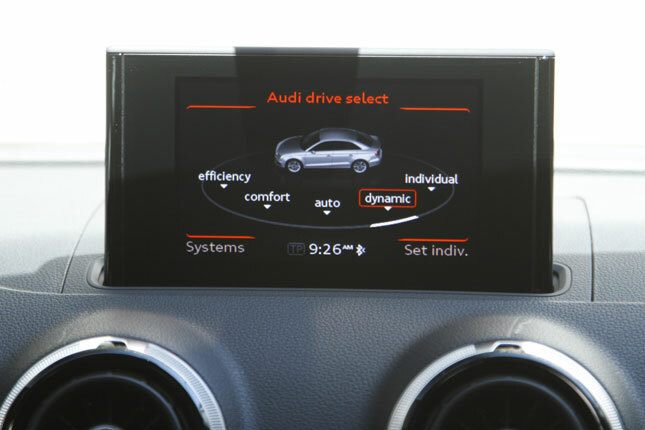 Then there's Audi Drive Select (brand-speak for drive modes) with five settings: Efficiency, Comfort, Auto, Dynamic and Individual (you can specify your preferred engine/gearbox, suspension, steering and engine sound settings). In Comfort and Efficiency, the ride is smooth. Dynamic firms up the suspension, but is still comfortable enough to not give any feeling of harshness. The ride compliance makes the S3 the friendliest package compared to the BMW M235i (the Bimmer's suspension is slightly firmer) and the Mercedes-AMG CLA45 (not even close with its stiffness). As interesting as the Individual mode sounds, I was content with the default settings of Dynamic and Comfort. Dictating how you want the car to behave through magnetic dampers gives a feeling of amusement, not to mention total control of your ship. While you as the driver would prefer a particular setting, it's reassuring to know you can tweak the car's suspension to your passengers' liking. 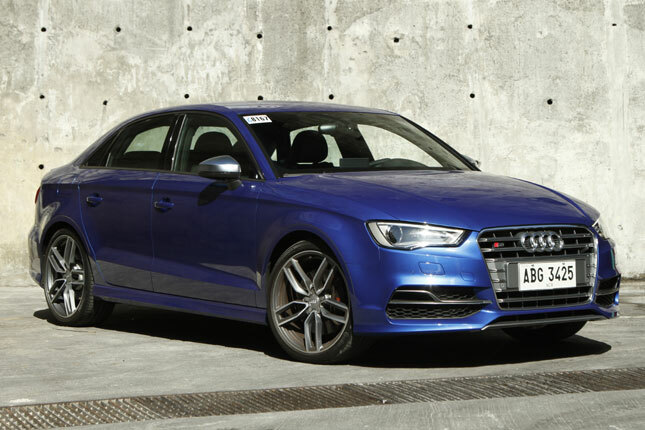 At P4.5 million, the S3 is far from cheap. But with the kind of output it has, it can run with more expensive exotics while offering some practicality at the same time. Most important, its size and agility make it fun to drive.